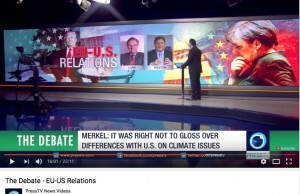 Last night “The Debate” on PressTV was devoted to the future of European-US relations in the wake of the NATO Summit, President Trump’s words and omissions and the – historic – words, in particular, of Chancellor Angela Merkel immediately after. Undoubtedly, we are at a turning point in these relations in general and for the NATO alliance in particular. To discuss these issues – past, present and future perspectives – were Jim Walsh, senior research associate at MIT’s Security Studies Program, Masschusetts, and Jan Oberg, director of TFF, Lund. 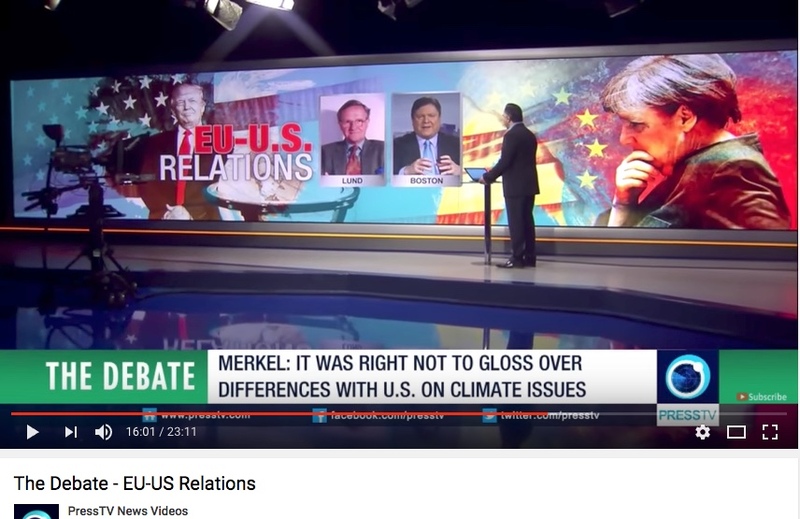 Thanks to PressTV’s excellently structured program and interviewer we touched upon a series of aspects and dimensions around which we found both agreements and slight disagreements – all in a sober tone fit for public education and personal reflection. We hope this debate will stimulate your own thoughts about the future of war, security and peace. We’d be grateful for your sharing it to media people, students and other academics as well as to decision-makers in the field that you may know.